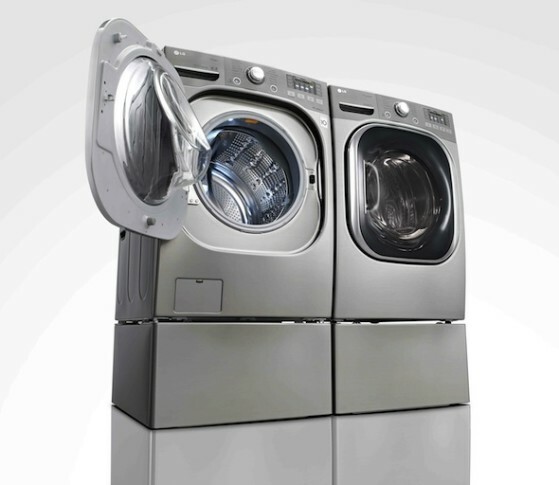 Comments Off on Why am I so excited about Heat Pump Clothes Dryers?!? Why am I so excited about Heat Pump Clothes Dryers?!? Back in the 1990’s Europeans invented a type of clothes dryer that until now we have not been able to purchase in the USA. It’s called a Heat Pump Dryer (not to be confused with those Condensing Dryers that everyone complains about). The technology behind aHeat Pump Dryer allows one of the most energy guzzling appliances in your house to become one that can proudly wear the EPA Energy Star Sticker. But why do I love it! THIS KIND OF DRYER DOES NOT VENT TO THE OUTSIDE. This means no energy loss through the vent pipe to the outside. To read more about this story and the learn a bit about the technology check out this article from GreenBuildingAdvisor.com. It is estimated that the first model will be in the USA by the Summer from LG and cost approximately $1500. Yes, this is a big investment, but it allows the air-tight Passive houses to function and you can still get your clothes dry fast!